Don’t be scared of eating out with kids, and don’t be afraid to order not from the kids menu if you’d prefer to avoid the usual offerings. 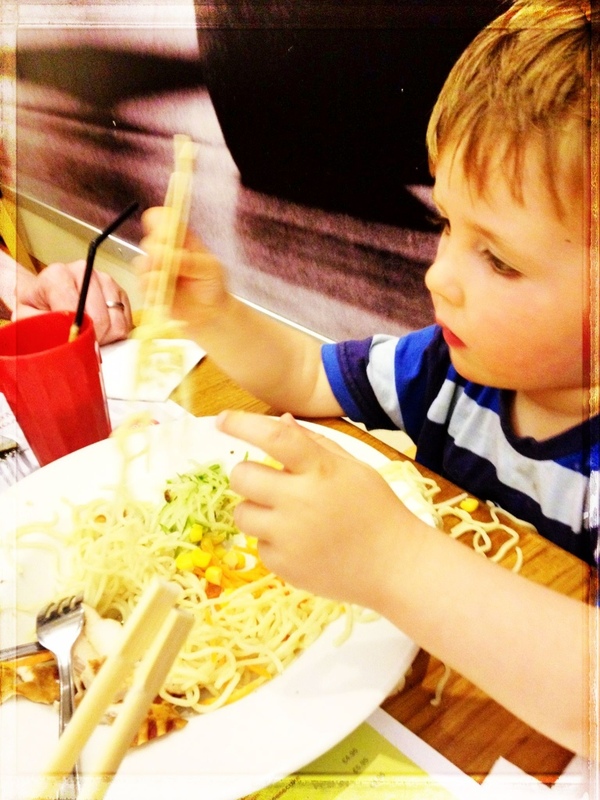 I found this link about good children’s menus in Dublin. The Irish Hotels Federation also publish some guide menus and a template for their members but jaysus, they’re just so samey! I would love to hear your recommendations on kid-friendly restaurants that do something a little bit different! We rarely encounter restaurants that offer healthy yet tasty food options for children on their “kid’s menu.” Because of this, we almost exclusively order off the menu and the kids either share an entree or we all share from each other’s plates. (One day I must tell you a pretty hilarious story of this very topic). Craig and I made a decision very early on that we wouldn’t make exceptions to our meals. The kids eat what we eat, period. But I think what’s important, and what so many kid’s menus are lacking in, is variety. Pasta, ok, fine. But c’mon, chicken nuggets, hot dogs, pizza and burgers? Why are these tasteless foods deemed kid-worthy. Why not risotto, curries, soups and salads made with tasty, whole ingredients? On a side note, love your blog! We’ve only recently started ordering seperately for him. To be honest we barely need to – he’d happily try bits and pieces of what ever we’re having – I doubt Mark would have much spare food mind! And sometimes, timing is bad and he’s too full of snacks. I’d started to feel like restaurants think we’re just taking up space if we don’t order seperately for him now that he’s not so small. I reckon I might get over that though. Similar to Julie I just order a main meal for myself and then the boys eat from my plate. My only concern being my bugbear – salt levels. I try not to give them the option of having the junk. Mind you we eat out so seldom that every now and again isn’t going to kill them either. My only problem with him eating off my plate is when I want my delicious food all to myself. such as in the Good Things Cafe the other day – its a fixed €30 menu, no choices or anything. But Dom would happily have eaten all my kale & pecan tart. And we told him we’d ask the “nice lady for some more bread” whereupon he kept roaring MORE BREAD across the restaurant.